Today, on this auspicious Wednesday, the 14th Kashag observes the one-year completion of its Administration. I would like to take this opportunity to reflect on and highlight a few accomplishments and developments, and share with you some thoughts as we move forward. The Kalon Tripa was entrusted with the monumental responsibility of ensuring a smooth transition in the wake of His Holiness the Dalai Lama’s historic decision to devolve political power to an elected leadership in March 2011. This is a responsibility that we have handled reasonably well so far, thanks to the unity, solidarity and support from Tibetans in and outside Tibet, and our friends. 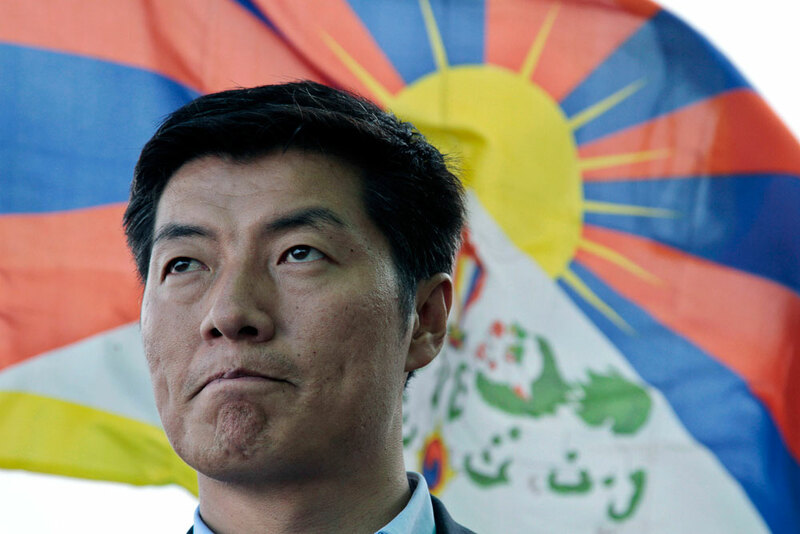 The leadership transition coincided with a tumultuous period marked by an unprecedented wave of Tibetans self-immolating — the paramount form of protests against China’s occupation of Tibet. A total of 46 known incidents of self-immolations have occurred in Tibet with all but one occurring since March 2011. While we urge Tibetans to refrain from such drastic form of protest, we hold the repressive policies of the Chinese government solely responsible for this tragic turn of events. On a more positive note, I am pleased to let you know that the past year was productive as we made some progress on a few fronts. Keeping the spotlight on Tibet: The 14th Kashag’s efforts to sustain attention on Tibet and enhance the profile of the Tibetan political leadership attained some levels of momentum fueled by an energetic outreach effort. My colleagues in the Kashag have been travelling to various countries and my travels have taken me to seventeen different cities on four continents. I have met with senior government officials, prominent lawmakers, including the Speaker of the US Congress, well-known media organizations, and other notable world citizens like Nobel Peace Laureates with whom I have highlighted the dire situation in Tibet and sought their support. Important resolutions supporting Tibet and Tibetans were passed in the US Senate and the European Parliament and around 100 Japanese parliamentarians issued a public appeal supporting Tibet. International media appear to be giving more attention to the Tibetan situation. Many new friends and important contacts were made. New Initiatives: Several initiatives were launched in the areas of the Central Tibetan Administration (CTA) staff reform, strengthening policy research, development capacity, mobilising human resources, and health. The five that I would like to highlight are: CTA Recruitment Training Programme, Tibet Policy Institute, Tibet Corps, launching of the Tibetan Medicare System and establishment of a process to award Geshema degree for nuns. The underlying principles guiding these initiatives were unity, innovation and self-reliance. Transforming CTA: In order to make the CTA and its thousand plus civil servants a professional organisation and workforce, we took steps to integrate the use of technology, streamline staff transfer policies, and identify ways to better match staff ability with positions. In the area of technology, the CTA website was completely redesigned (www.tibet.net) and internet bandwidth was quadrupled. About one-third of computers in the CTA have been replaced with new ones. Email and online communication and collaboration were moved to a newer and more secure platform (Google Apps). With regards to staff transfer, a new unit was created and tasked with managing the placement and transfer process. A well-established system is in place to ensure the smooth functioning of the Kashag even while the Kalon Tripa travels outside Dharamshala. Deepening Community Connection: The 14th Kashag’s foreign travels were complemented by a robust domestic travel schedule to hear first-hand the issues and concerns of the people. Towards this end, my colleagues in the Kashag and I visited most of the Tibetan settlements in India, including Jangthang area in Ladakh. forwarding a detailed proposal to the Indian authority to transfer the management of Central Schools for Tibetans (CST). Relief for Tibetans: The Indian authorities kindly agreed to extend the validity of the Registration Certificate (RC) for Tibetans born in India as well as those who have held RC for twenty years or more. Tibetans may now renew their RC once every five years as opposed to the current requirement of every six months to a year. The resettlement project of Tibetan from Arunachal Pradesh to Canada has been launched and the concerned authorities are taking steps in this project. For the new arrivals from Tibet, during their stay in India, considerations are made with the initiatives to provide vocational skills, further education and other opportunities. Dialogue with China: We are committed to the Middle-Way Approach and the dialogue process to resolve the Tibet issue on the basis of mutual benefit. The Tibetan Task Force on Negotiations has met twice in the last eight months and will meet again in December to continue the dialogue process with the new Chinese leadership. Prominent leaders, including the US Secretary of State Hillary Clinton, called on the Chinese government to continue a serious dialogue on the issue of Tibet. Looking ahead, the Kashag and the Tibetan Parliament will be convening the 2nd Special General Meeting of Tibetans in Dharamshala from September 25-28, 2012. The primary agenda will be to discuss ways and means to deal with the urgent and critical situation in Tibet. Another important upcoming gathering is the Special International Tibet Support Groups Meeting. In addition to strengthening some of the initiatives and areas already outlined, the current administration plans to further upgrade the CTA’s capacity on some fronts, including internet security, TibetOnline.tv, entrepreneurship, and revitalization of the Tibetan settlements. Lastly, I would like to express my deepest appreciation to the governments and people across the world, particularly our kind host, India, for their support. I pray for the long life of His Holiness the Dalai Lama. We are profoundly grateful for his continued presence and guidance. Finally, to my fellow Tibetans in and outside Tibet, I want to reiterate the current Kashag’s commitment to fulfill our cherished goal of freedom for the Tibetan people, and return of His Holiness the Dalai Lama to Tibet. Stay tuned to TIBET TELEGRAPH for more news and views on Tibet and Tibetan life and on areas of interest to the Tibetan readers.